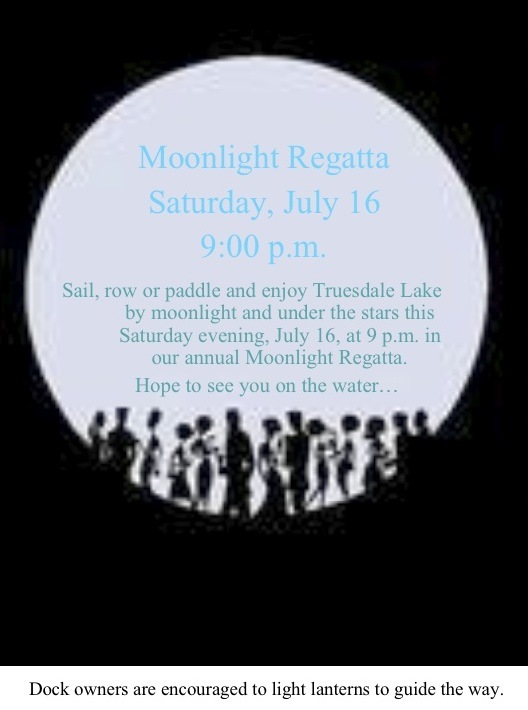 The Truesdale Moonlight Regatta is this coming weekend. 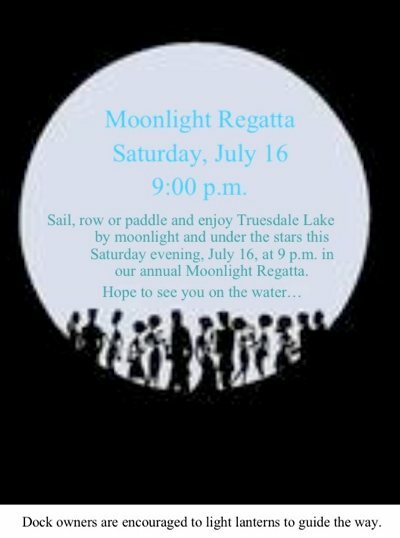 Sail, row, or paddle July 16 (Saturday) starting at 9pm. Dock owners are encouraged to light lanterns to help guide the way! Boaters remember to bring lights as well… See you under the stars!